Just the other night, we welcomed the military family that recently moved into our neighborhood. Their second grader has already joined a local Cub Scout troop and was proud to show me his sharp looking uniform. Seeing his wide-eyed enthusiasm reminded me of the Scouts motto, “Be Prepared.” To me, that scouting motto means to be in a state of readiness to serve. In our day-to-day lives, perhaps we grown-ups could take a cue from the Scouts and live in a state of readiness? For example, in case of inclement weather it may be helpful to have emergency plans and supplies. If a deployment pops up, it may be good to know what resources are available for support. Thankfully, MilitaryByOwner is an excellent source for these (and more!) helpful life hacks. On a similar note, if you're in the market to purchase real estate, there are important preparations to keep in mind. Recently, I chatted with a real estate professional about how to square away certain details to make the kind of offer a home seller can’t refuse. Follow along for suggestions on how a military homebuyer may gather their ducks in a row! Let’s say a military family is hoping to sell their home before they leave for their next assignment. That family will most likely want the sale to occur quickly to ease the timeline of their upcoming move. 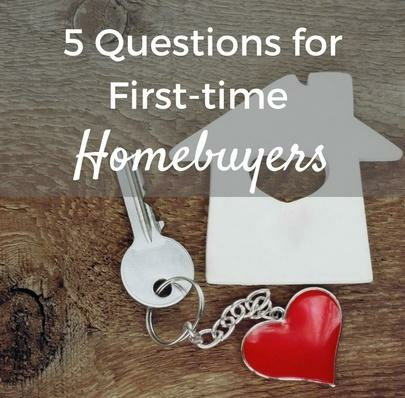 If you're looking to buy a home from a seller with a time limit, having a statement of pre-approval from a lender may set your offer apart from others. A seller who doesn't have to wait around for a buyer to secure financing is most likely a someone thrilled to have less stress before they PCS! Also, accomplishing a home inspection on a timely basis may please a seller looking to move their property quickly. When placing an offer on a home, consider having an inspector at the ready. Additionally, check in with your home insurance company as you prepare to make an offer. For example, if you're placing an offer on a home in an area where earthquakes or hurricanes may occur, it's a good idea to ensure that you will indeed be granted coverage. With details like this lined up ahead of time, your offer may stand out to a seller with a tight timeline. A military homeowner may be placed in a situation where they need to sell the house where they currently live in order to purchase a home at their upcoming assignment. This contingency with an offer may mean that the seller would have to wait until the buyer finalizes their own property sale. In the interest of time, a motivated seller may prefer an offer that is not contingent on the sale of another property. Imagine placing an offer on a home that you really and truly want. By adding an escalation clause, you're agreeing to increase your offer by a certain amount if a higher bid comes in. In turn, the seller must show you, the buyer, the other offer in order to see the competition you are up against. Adding this auto-escalation detail may make your offer shine brighter than other bids on the table. A while back, I stopped at an open house of a cute little house For Sale By Owner. The kitchen included cabinetry built by the homeowner’s grandfather. The scalloped-edge woodwork had a 1940’s/1950’s craftsman vibe, and the friendly homeowner was visibly proud of it. As I departed, others attending the open house walked in. I overheard a woman loudly state, “The first thing I would do in here is rip out all of these outdated cabinets.” I couldn’t bear to look back and see the heartbroken homeowner! Similarly, the cliché “Sharing is caring” may work in your favor when trying to appeal to a seller. Consider writing a letter to the seller sharing with them what you love about their home. Perhaps tell why you feel their home is the best fit for your military family. This element of communication included with your bid may draw positive attention to your offer. When making preparations to submit an offer on a house, it might be helpful to keep these four points in mind. Making an offer when you’ve lined up details ahead of time may showcase the confidence you need to land the home you’ve been hoping for! As always, MilitaryByOwner is here to offer guidance as you plan to make an offer a seller can’t refuse!